In case you missed this year’s event, watch it here, thanks to the Miami Valley Communications Council! 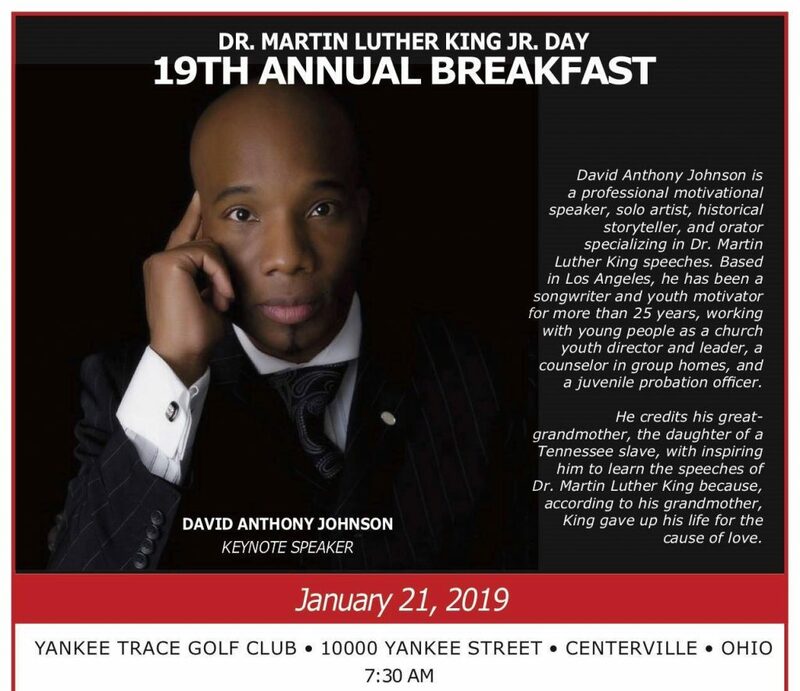 The Centerville-Washington Diversity Council will host the 19th annual Martin Luther King Jr. Breakfast featuring David Anthony Johnson as the keynote speaker. A professional motivational speaker, Johnson is a solo artist, historical storyteller, and orator specializing in Dr. Martin Luther King speeches. Based in Los Angeles, he has been a songwriter and youth motivator for more than 25 years, working with young people as a church youth director and leader, a counselor in group homes, and a juvenile probation officer. He credits his great-grandmother, the daughter of a Tennessee slave, with inspiring him to learn the speeches of Dr. Martin Luther King because, according to his grandmother, King gave up his life for the cause of love. The annual breakfast takes place at 7:30 am at the Golf Club at Yankee Trace. Check back here as registration starts December 7 online. Printed registration forms that can be mailed will be available at Centerville Library starting December 1. Tickets are $20 each, or $200 for a table of ten. Businesses and individuals interested in sponsoring the event are invited to complete an MLK 2019 Sponsor Form by November 30. The council is seeking new members who are interested in helping further its mission to celebrate and promote an inclusive, diverse and welcoming community. 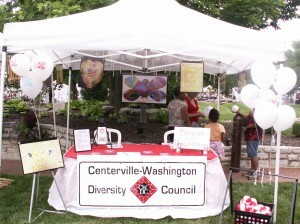 Membership is free and open to people who live, work or worship in Centerville/Washington Township. If you have an interest in council participation, contact Council Chair Sivaji Subramaniam at cwdcchair@gmail.com or Carol Kennard, past chair, at cgkennard@woh.rr.com. Events are posted on this website and also our Facebook page.